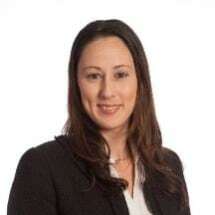 Yasmin has been practicing law for over 13 years and has been a member of the Merovitz Potechin team since 2011. Originally from Israel, Yasmin has 5 years of international experience and is able to provide services in both English and Hebrew. Yasmin brings an intense passion for practicing law and helping people through her work in estate and commercial litigation. She offers clients extensive knowledge of the law, superior expertise in litigation, attention to detail, and a determination to think progressively and outside the box to achieve the best resolution for her clients. Yasmin is a devoted mother and wife, and an active member of her community. She is an avid photographer and enjoys traveling and the outdoors.